Hundreds of people across the country protested yesterday against the draft NGO law, as it was announced that the controversial legislation will go before the Senate on Friday. Members of community groups and NGOs gathered in 13 provinces to call for the draft Law on Associations and Non Governmental Organisations (LANGO) to be transferred back to the National Assembly where it was approved amid an opposition boycott earlier this month. Demonstrators distributed leaflets, released balloons, held community forums, and organised marches to provincial lawmakers’ offices in last-ditch efforts to stop the bill passing. Am Sam Ath, technical supervisor for local rights group Licadho, said protesters wanted to “show their willingness not to support the [LANGO] even though it was passed by the National Assembly and show that they do not need such a law”. “If the law is approved, [groups like] the Prey Lang Network and the Independent Monk Network for Social Justice, and youths that once campaigned are no longer permitted to and will be fined,” he added. In Siem Reap and Preah Sihanouk provinces, police blocked the roads as marchers approached. The draft LANGO has long come under fire from critics who say the legislation, comprising nine chapters and 39 articles, gives the government sweeping powers to restrict civil society, freedom of association and freedom of expression. 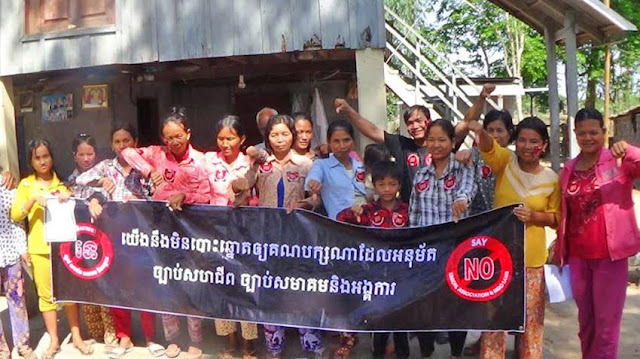 Phuong Sothea, Pursat provincial coordinator for local rights group Adhoc, who joined yesterday’s action, said the law would be used as a government tool to “stifle our voices”. Buth Kosal, who joined protests in Svay Rieng province yesterday, said he would “not vote for any lawmakers approving the law” in future elections. He added that people in his community opposed the bill because they believed it would “not let us have freedom of expression when the authorities abuse people’s rights”. But despite ongoing opposition to the LANGO, the Senate yesterday issued a notice, signed by its Secretary General Oum Sarith, stating that the draft will be reviewed by the Senate’s standing committee on Friday. 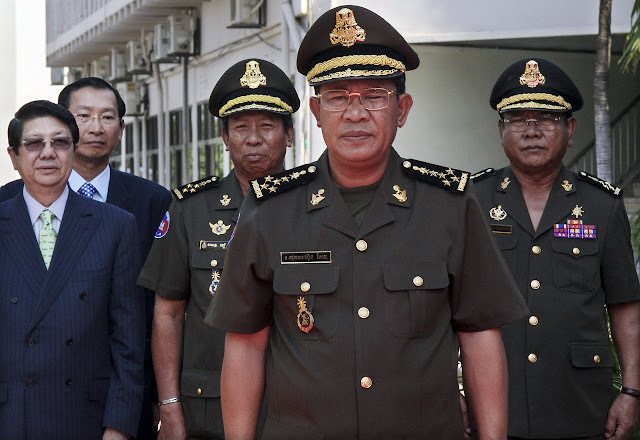 Eleven Sam Rainsy Party senators announced on Thursday that they will boycott the upcoming vote on the bill.